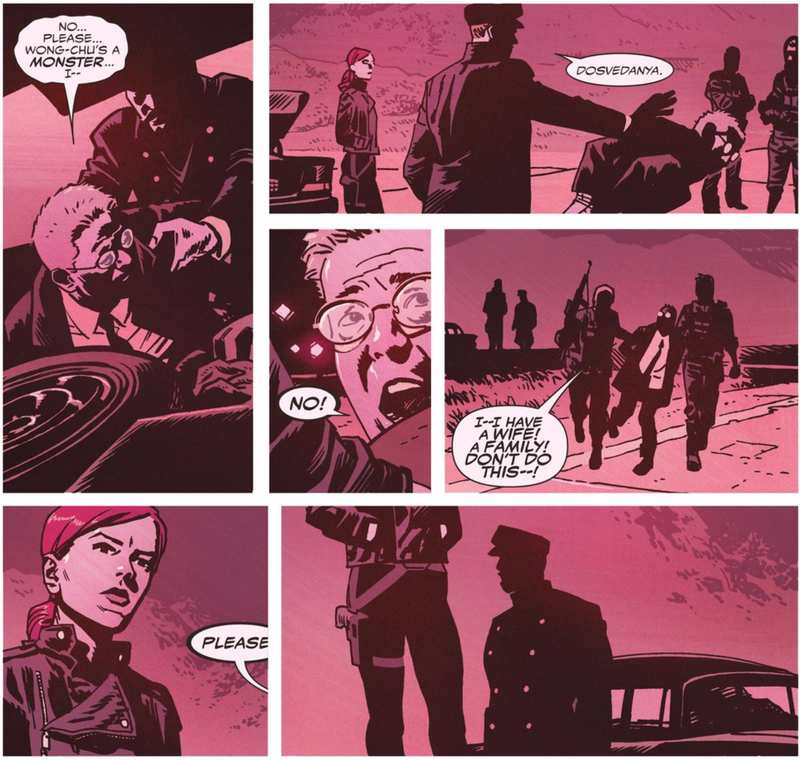 Natasha Romanoff has been a superhero. She's also been a spy. Right now, she's somewhere in between the morality of those two poles. Before she was either of those, however, she was an assassin. 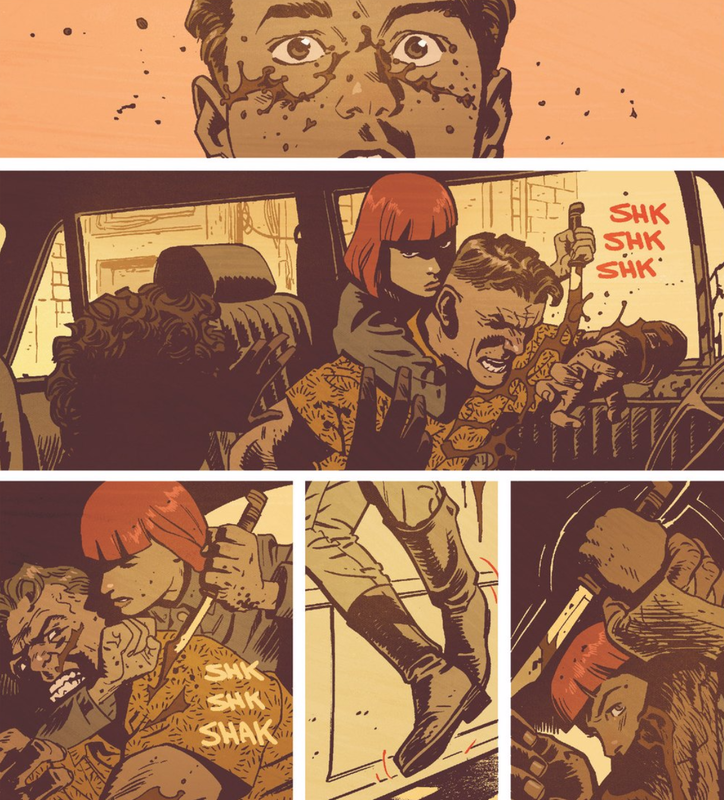 This week's new Black Widow comic shows the first time the young Natasha killed someone. It's nasty. 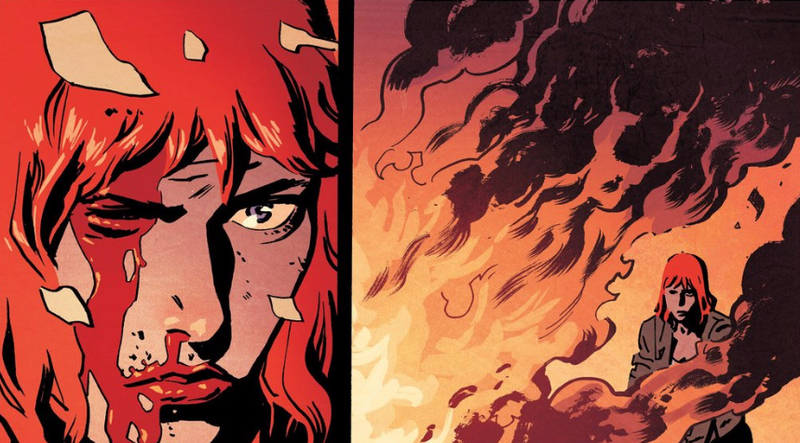 Black Widow is one of Marvel's best titles right now, a taut thriller centred on Natasha's attempts to reckon with her checkered past. 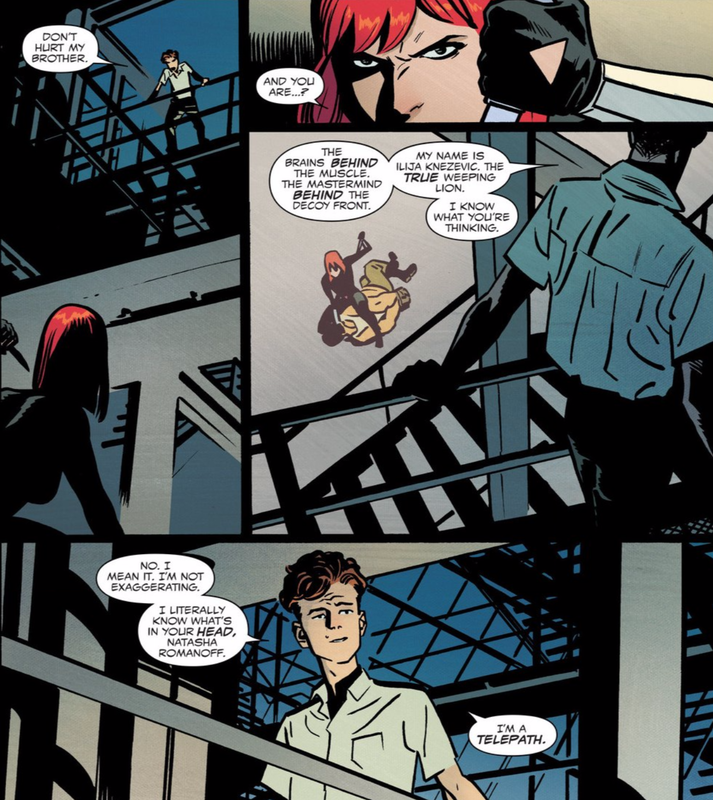 It's being written by artist Chris Samnee with help from scribe Mark Waid; colourist Matt Wilson and letterer Joe Caramagna round out the creative team. 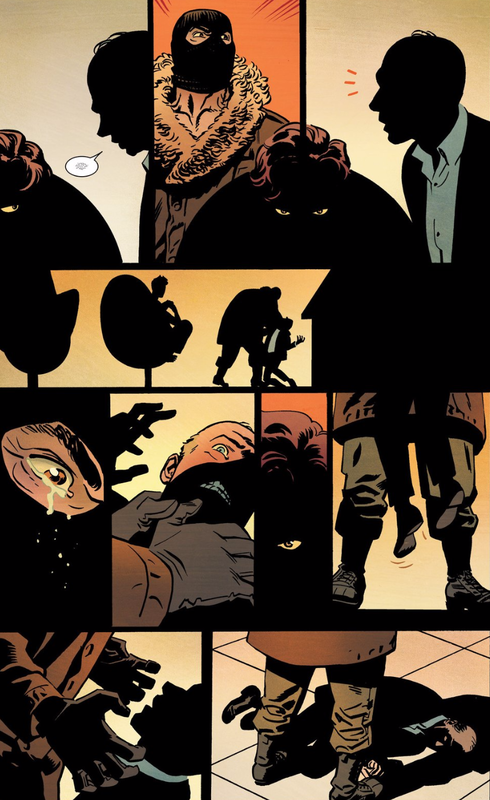 The first story arc had Natasha in thrall to the Weeping Lion, a urban-legend operative who had access to her biggest secrets. 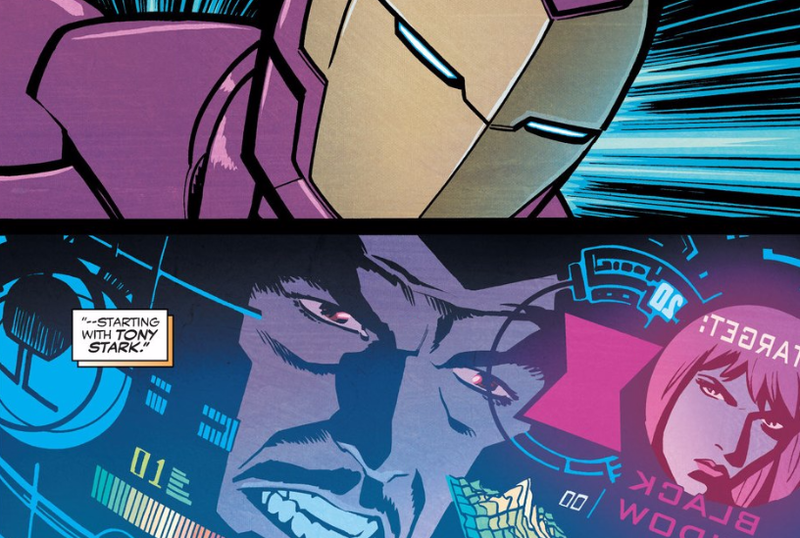 After a flubbed mission, her involvement with the abduction of scientist Ho Yinsen — who helped Tony Stark build the first Iron Man armour while held captive by an evil warlord — became public knowledge. A confrontation with Stark gave her the means to discover psychic Ilya Knezevic as the Weeping Lion's true identity, but she still didn't know why he's determined to destroy her. 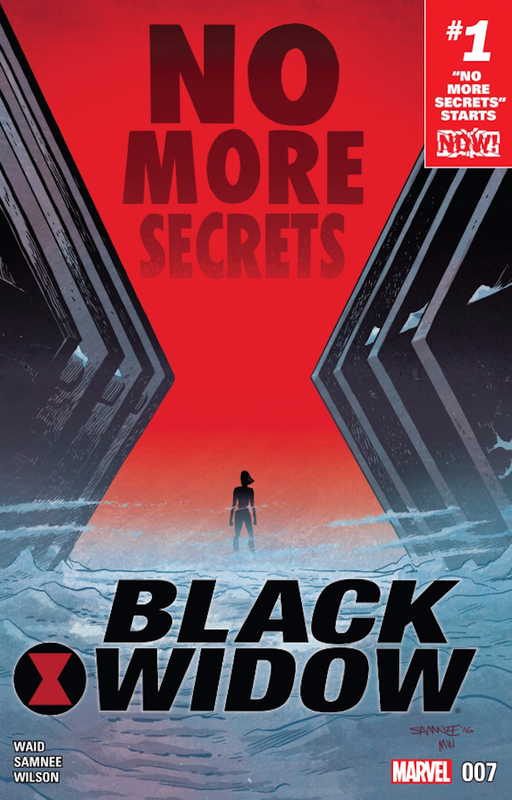 Knezevic's motivation is revealed in this week's Black Widow #7, as Natasha forces the psychic to help her infiltrate the new Dark Room training facility so she can stop her old mentor from raising a new generation of child assassins. Knezevic knows all too well how lethal a kid killer can be, because he watched a young Natasha brutally murder his uncle and slit his cousin's throat. 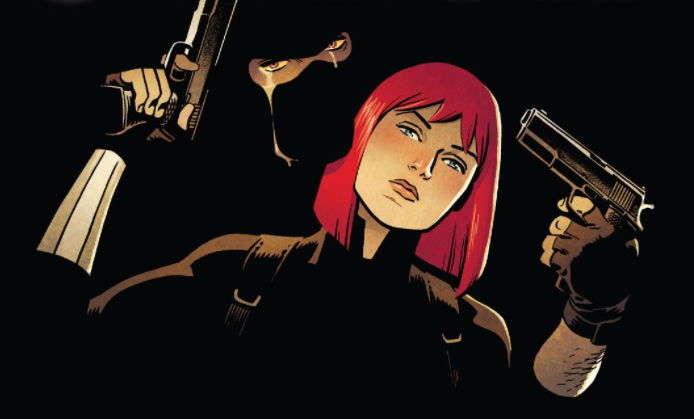 One of the things I'm enjoying about Black Widow is how the book's themes are intertwined with its visuals. Samnee is the lead storyteller here so that predilection makes sense. When readers were first told that Ilija's hulking stand-in was The Weeping Lion, images of his sad eyes were a focal point. 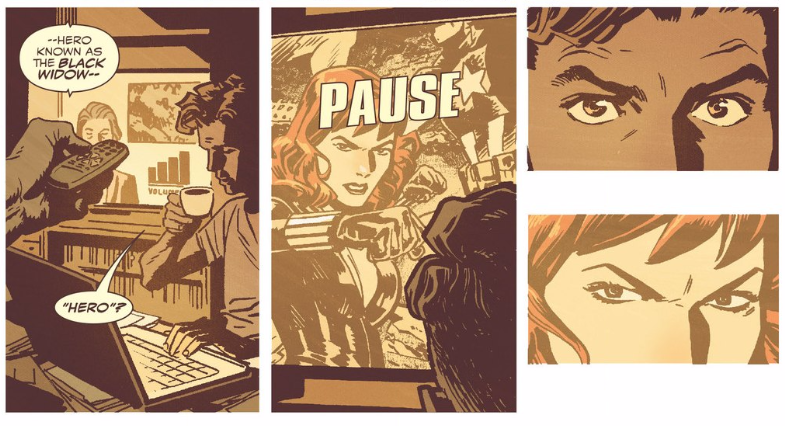 Its use in this week's Black Widow #7 is particularly meaningful. Unbeknownst to her, Natasha left a pair of eyes alive during her first kill. They belong to Ilija, who grows up to see Natasha being called a hero. Natasha Romanoff had done good things, saving the world with the Avengers. But she's also done bad things and the world's understanding of her currently stands in an intriguingly ambiguous place. 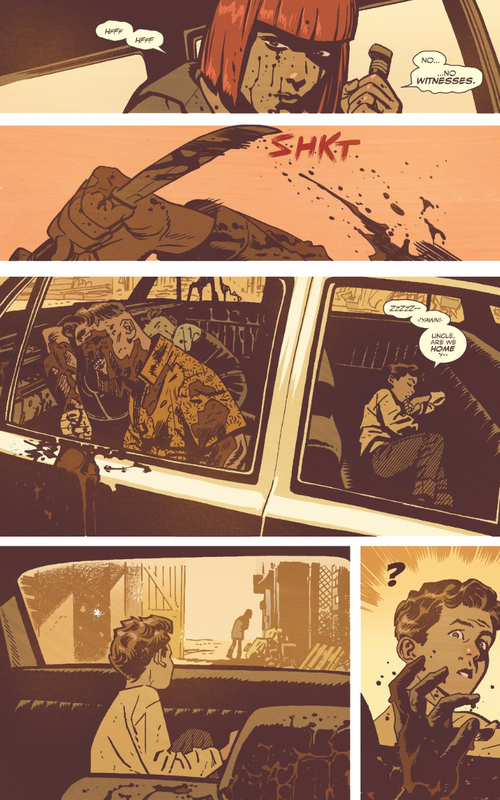 Samnee and Waid's work on Daredevil upended a long-held understanding of Matt Murdock, adding a lighter tone and turning him away from storylines premised on emotional damage. The duo are doing an inversion of that here, showing the darker engines underneath the glib, quip-heavy superheroing and spycraft the Widow has usually partaken in. I'm not one to say that film adaptations should pull heavily from comic-book source material, because the forms are different and new creators might have different, better angles on characters and motivations. But if that Black Widow solo movie winds up happening, this current series provides an excellent blueprint as to how to add more layers to a character for whom misdirection is a way of life.